Creation myths are revealing fabrications and contemporary art in America has one. Perhaps the most telling element of which can be summoned through asking the simple question, who started MoMA? that crucial institution of the Twentieth Century, which both championed and contextualized modern and contemporary art? If queried many would say, Alfred Barr Jr. (MoMA's first director and architect of that first contextual framework) or Nelson Rockefeller (who put up the money) but it was his mother Abby and her compatriots Lillie P. Bliss and Mary Sullivan who conceived and chartered the idea, bringing everyone to the table. MoMA acknowledges this fact openly but without context it remains remote and abstracted in the minds of visitors and the world at large when they discuss the museum. Where is the context? Duplex gives it to you straight regarding the Portland 2014 Biennial attempt. As Ive already mentioned when the list was announced, not enough women and no new names. Mostly it is the institution's attempt to ingratiate itself amongst others that made their reputations without Disjecta's help already and the show did nothing for anyone's careers save thye presenting institution. 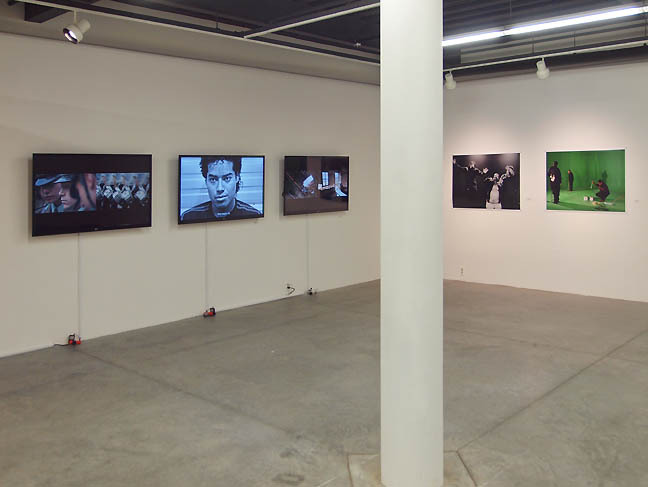 It is a tired model and any group show that shines a light on a scene should at least make a few discoveries to create anticipation and a climate of change rather than staleness... it was ok but told us nothing we didn't already know in more fully realized solo shows. That and it was basically a clone of every other recent group show, not embarrassing but achieves little for anyone besides the presenter. Brian Libby on MIT's use of Big Data for mapping and architecture. 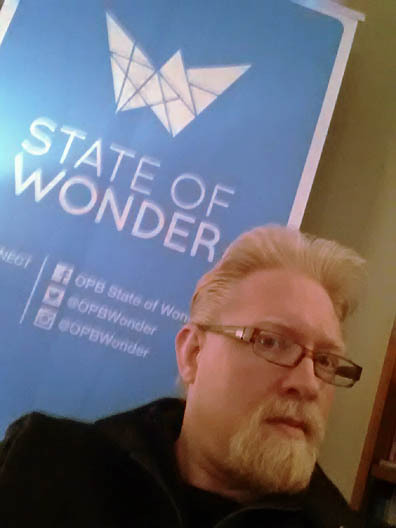 As part of my 15 year anniversary of coming to Portland I'll be guest curating OPB's State of Wonder radio program at noon today. Here is a preview interview (I was trying to use approachable language in that preview but on the show I don't pull any punches), numerous artists and interviews are part of the program. Nanobots are going to reinvent kinetic sculpture and installation, among other things. 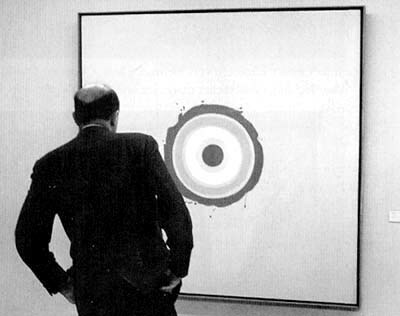 Three views of art criticism in Europe. Of course clay is hot these days... it has been for the past 6-7 years as the careers of Ken Price and Jessica Jackson Hutchins made plain long ago. The news is the bandwagoning that has started because of the latest Whitney Biennial. There is an art market to feed you know. The other interesting bit is how little resistance there really ever was to it... in craft circles they made it seem like the medium were persona non grata but its always been the message not the medium in contemporary art. The message has always been boutique, with limited production = value and it is tied to a larger discussion over design. It isn't craft (which is technique) that is crucial but "design" because it encompasses craft and gives it an outlet. 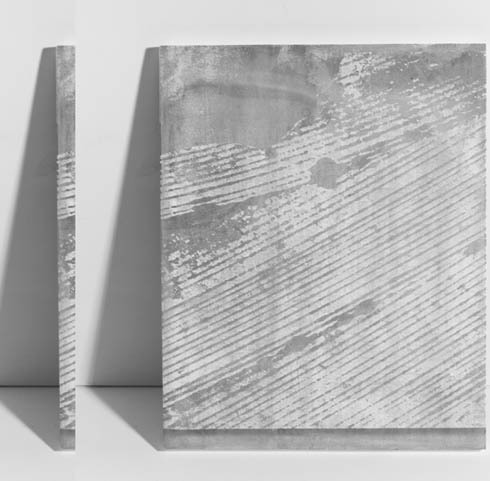 Contemporary Art works in parallel and pantomime to the Design World, which is the bleeding edge of production. Think of Contemporary Art as the court jester to the court of culture and Design is the army. 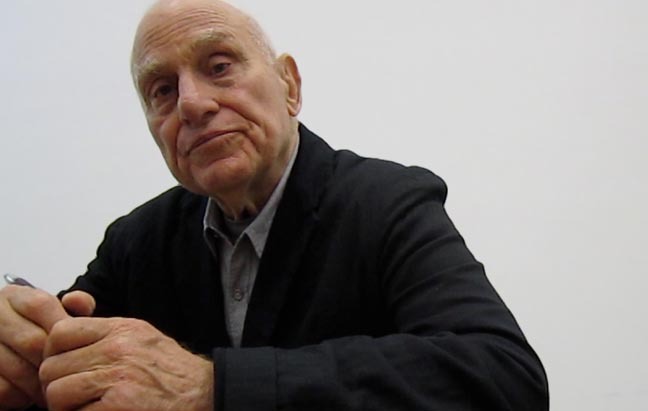 Franco a credibility problem for the art world? Basically, it is all too easy and anybody who gets too wrapped up as "for or against" is wasting their time on an easy mark. For the first time ever I'm linking without reading the article. Click at your own risk. Yes MoMA is jumping the shark and it sounds just like Deitch did during the MOCA debacle. Lowery's claim of being radical doesn't hold water... they are very thin gestures at new media and genres and doesn't really address the bigger problems MoMA already has since it has started diminishing the scholarship... the kind that was a step above academics. By always meeting in the middle ground Lowery is going down as the man who ruined MoMA. 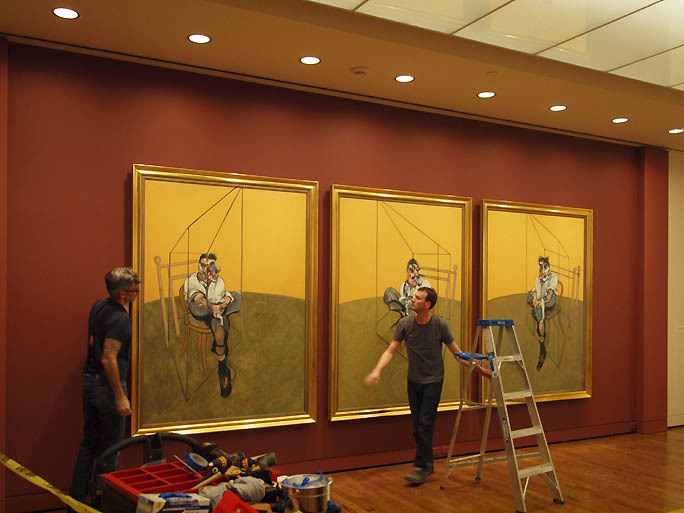 His days are numbered (but probably not this year) but the question is will MoMA ever recover? Chilean born and Washington State based Rodrigo Valenzeula's work deals in all sorts of labor and his latest show "Help Wanted" at the Archer Gallery looks like it could be one of the best shows on view this April. Dealing in everything from mining to odd jobs and construction Valenzeula interacts with laborers and Clark College students to explore the unofficial labor forms that economies rely upon. Blackfish is 35 this year and Blackfish member and Reed College professor Michael Knutson noticed coincidentally that Clement Greenberg's much hated and yet relentlessly referenced essay Avant-Garde and Kitsch is celebrating its 75th birthday as well. It was kismet so Knutson set about convening a panel of art writers, critics and historians to discuss both Greenberg's most famous work and the way its influence becomes a lens on art today. 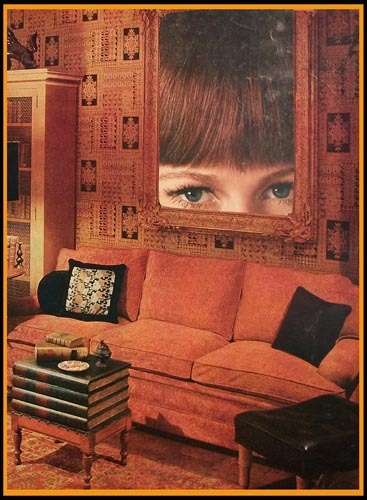 Greenberg later he recanted many of his definitions of kitsch. Panelists include; Randy Gragg, Eva Lake, Barry Johnson, Paul Sutinen, Sue Taylor and myself. It should be an interesting mix as our backgrounds vary from artists like Lake and Sutinen to journalists like Gragg and Johnson to historians like Taylor and myself. Knutson will moderate and we have been asked to discuss some of our favorite exhibitions as well so it should provide ample opportunity to learn some insights into your local art press corps, all in one convenient place. I've lived here 15 years and Portland has never convened a panel like this. 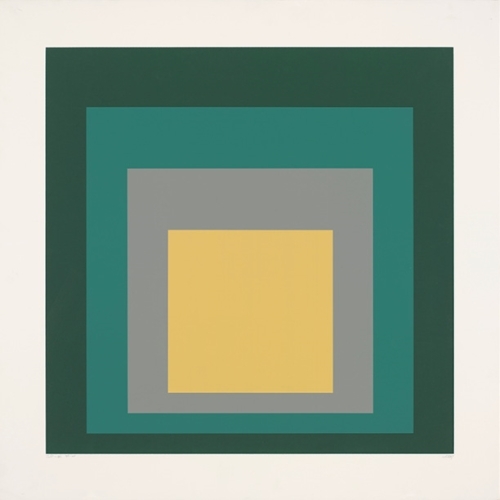 If you are in the Bellingham area catch Radical Repetition: Albers to Warhol at the Whatcom Museum. 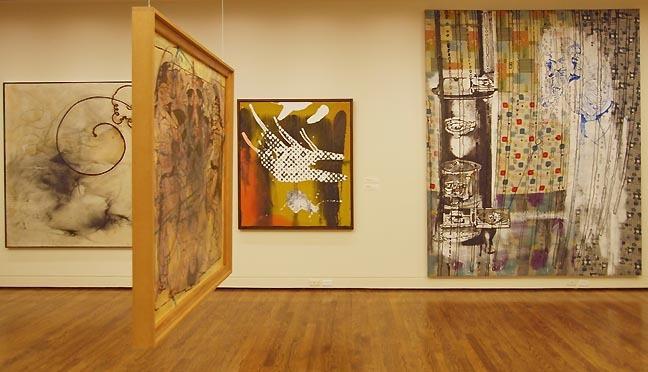 Culled from the Jordan Schnitzer Family Foundation's collection of international prints and Northwest art the show explores the effects of serial sequencing in art imagery in figurative and abstract art. It has been obvious that 2014 is the year of heightened attention on women's representation in the art world and roles in its history. 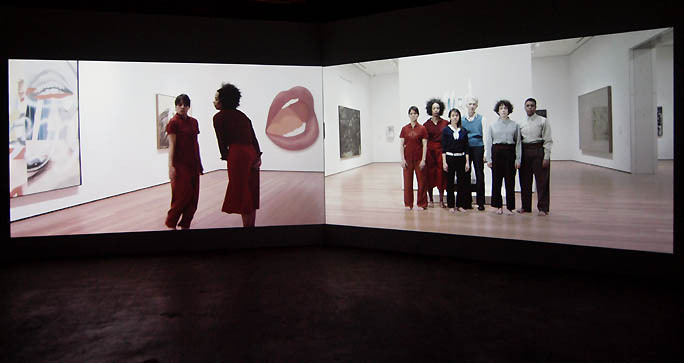 So it is exciting that PICA has tackled the subject head on by presenting the U.S. premiere of Andrea Geyer's two-channel video installation, Three Chants Modern. Geyer will also speak tomorrow at PSU's Shattuck Annex, April 16th at 7:00PM. 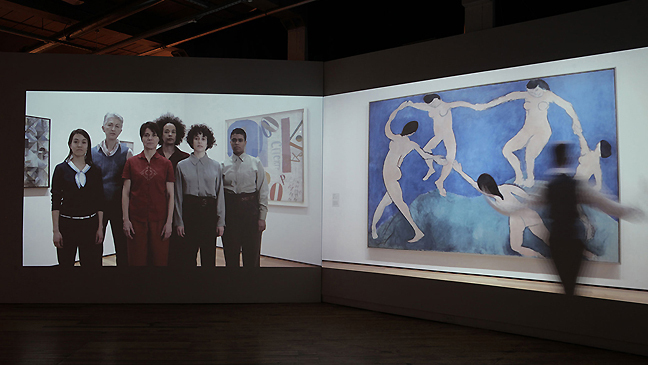 The video was, "Commissioned by the Museum of Modern Art, New York during a research residency at the museum in 2013 and made possible by MoMA's Wallis Annenberg Fund for Innovation in Contemporary Art through the Annenberg Foundation, Three Chants Modern looks at the network of women thinkers, social and political activists, artists and philanthropists who were the creative drivers and institutional pillars of the Modernist Project in New York in the early part of the 20th century. Three Chants addresses how history and power are constructed, in part, through the undeniable legacy of these women in contrast to their sparse representation in the formal history of the period." Brian Libby says goodby to PNCA's Goodman building. It is no secret that PNCA has been undergoing growing pains... experiencing both massive growth and contractions at the same time (in different areas like enrollment, new departments and physical plant). This gets more painful the larger the institution is. Let's hope the 511 years lead to a stable golden age for the school as it consolidates more around the North Park Blocks. The Goodman building's commons area has been Portland's arts oriented living room more than any other space in the city can claim, though they were also difficult for some uses. File under odd, Cyndy Sherman responds to James Franco. He's a good actor and a forgettable artist but I appreciate his appreciation of visual art. In the past 5 years or so PSU's MFA and BFA project shows for their studio arts program have become one of the few reliably exciting student exhibitions in Portland. 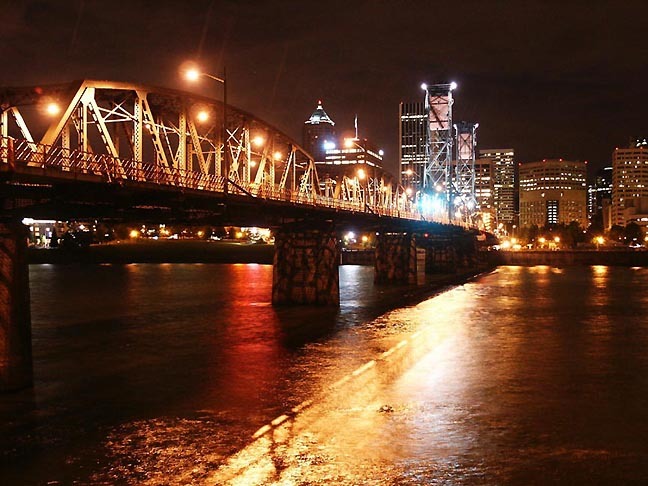 PSU's program has produced artists like Damien Gilley, Holly Andres, Chase Biado and Derek Bourcier and too many others to list. To kick things off this year there are 3 MFA candidates with openings and artists talks on PSU's campus; Perry Doane, Mark Martinez and Isaac Fletcher Weiss. Jesper Just spoke at the Portland Art Museum last Sunday but you can watch much of it here. Catch his exhibition on dislpay at PAM until June 1st. Finally some hard stats on women in the art world... basically 70% of represented artists are men. I'm uncertain about how those stats bear out in Portland but it is definitely true that men generally get statistically more representation in awards and group shows (Portland2014 being just another example, as is the far more consequential Whitney Biennial). Why is this? I think it is generally the way women are penalized for being ambitious and or promoting themselves, whereas men are encouraged. It also comes down to complicated interpersonal politics (who has kids, who doesn't, who teaches with whom, a cultural preoccupation focus on the events in a woman's life rather than the work) that are almost always more loaded for women. In general, the dudes are simply less complicated even though to my eyes a clear majority of the strong to excellent artists in a place like Portland are women. Check out this tiny self portrait Caravaggio snuck into one of his most famous works. See? Larry Sultan and Mike Mandel's altered billboards in Juxtapoz. Seattle buys some Ai Weiwei baubles. Lewis and Clark often graduates art scene leaders who create interesting venues like Kyle Thompson and Caitlin Ducey (12128), Jack Shimko (Haze), Justin Oswald (Gallery 500) or even Katherine Bovee who invaluably helped to launch PORT itself back in 2005. 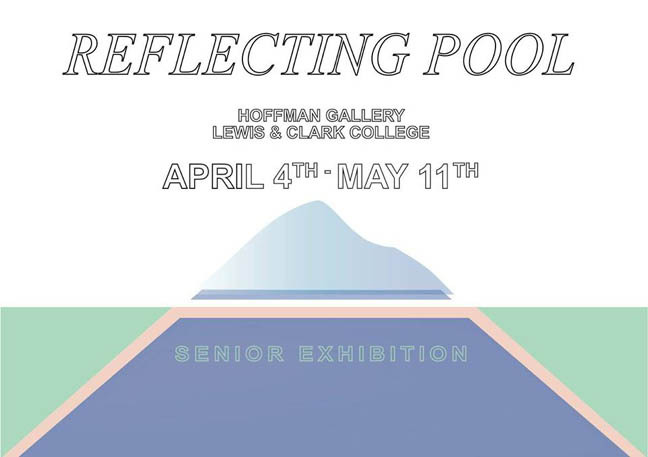 Here is this year's crop of L&C Seniors in a show titled Reflecting Pool. Eva Lake is another of those Portland stalwarts that really makes Portland what it is. She is from Oregon but has put in her time in New York, London and San Francisco etc. To a certain degree (like all artists and in particular female ones) she was taken for granted but when her fantastic collages of women were debuted that all changed and she started to get a following in New York and Switzerland. I was the first to point out how good this work was and it is exciting to finally see another of her shows in Portland. This series focuses not on Hollywood Starlets of the Target Series but on those anonymous faces that seem to be perpetuated in the media. It is the way she amplifies anonymity that she gives the work an even stronger surrealist charge.